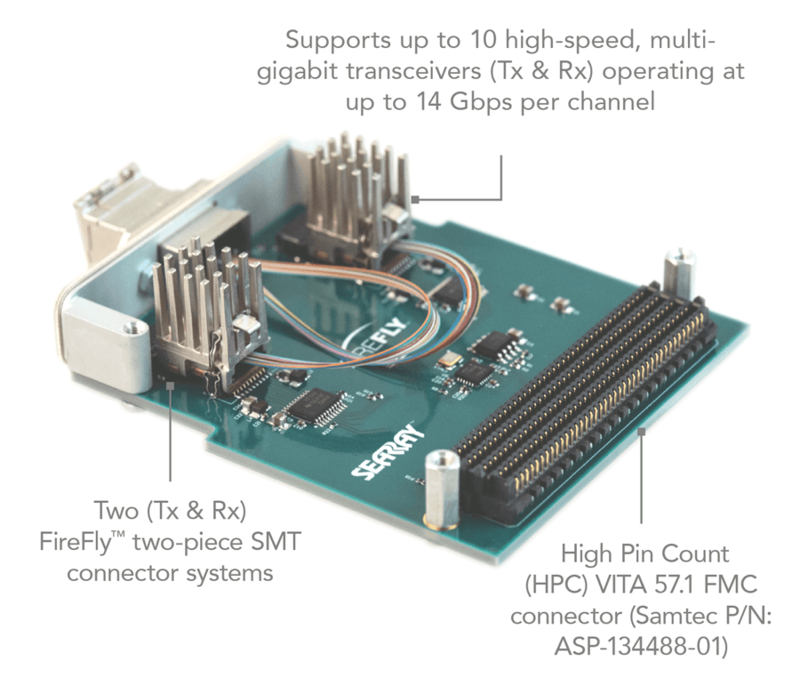 Samtec helps address the challenges of next generation data rate requirements with industry-leading expertise and full system optimization support, including a vast library of development platforms and evaluation kits. 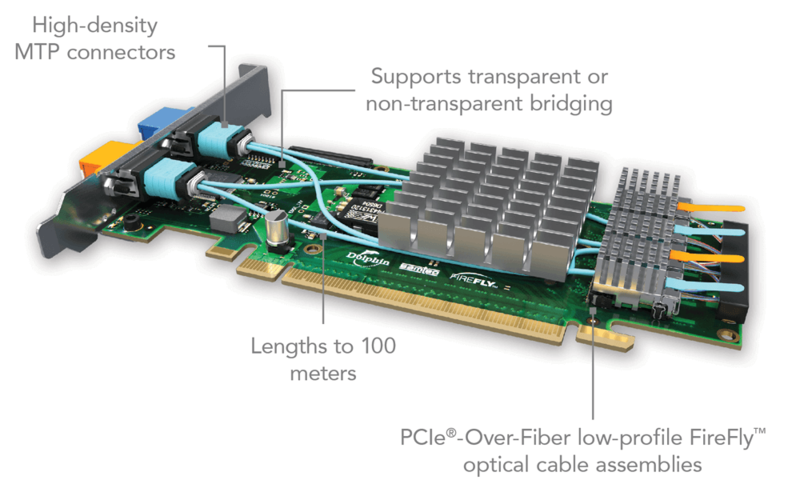 Samtec Optical Group provides design, development and application support for high-performance micro optics, PCIe®-Over-Fiber and Silicon Photonics solutions that are scalable, manufacturable, and cost-efficient for 56+ Gbps applications. 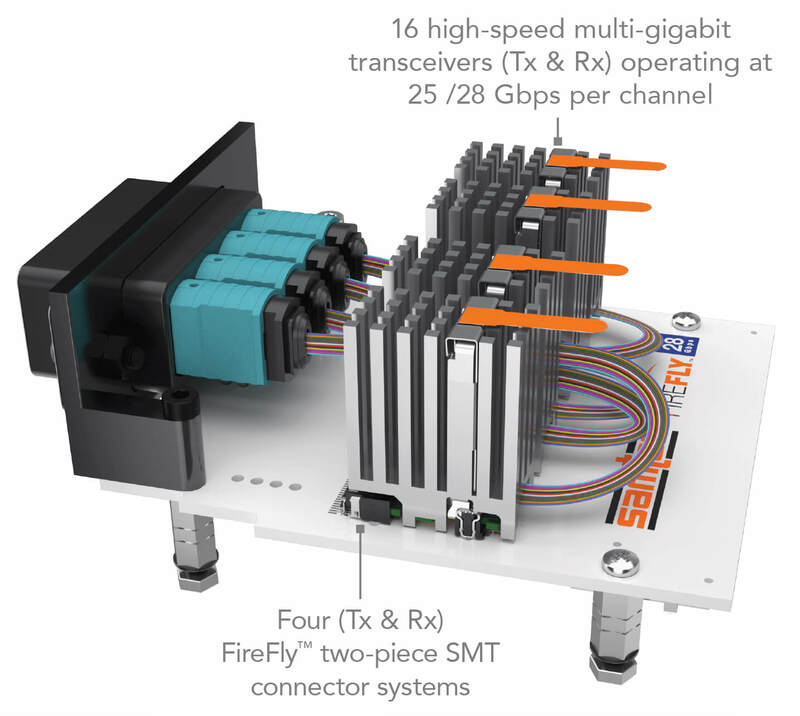 High-performance, future-proof system enables data rates to 28 Gbps (roadmap to 56+ Gbps) and/or greater distances by flying data over lossy PCB materials. The design enhances signal integrity and architectural flexibility, while an ultra micro footprint enables industry-leading density. 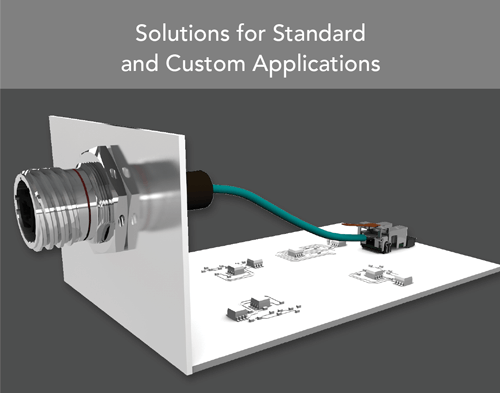 Samtec’s micro optical engine and high-speed cable expertise, along with a multitude of heat sink and End 2 connector options, enables cost-effective, high-performance solutions for applications including 12G-SDI broadcast video, data center and HPC protocols (e.g. Ethernet). 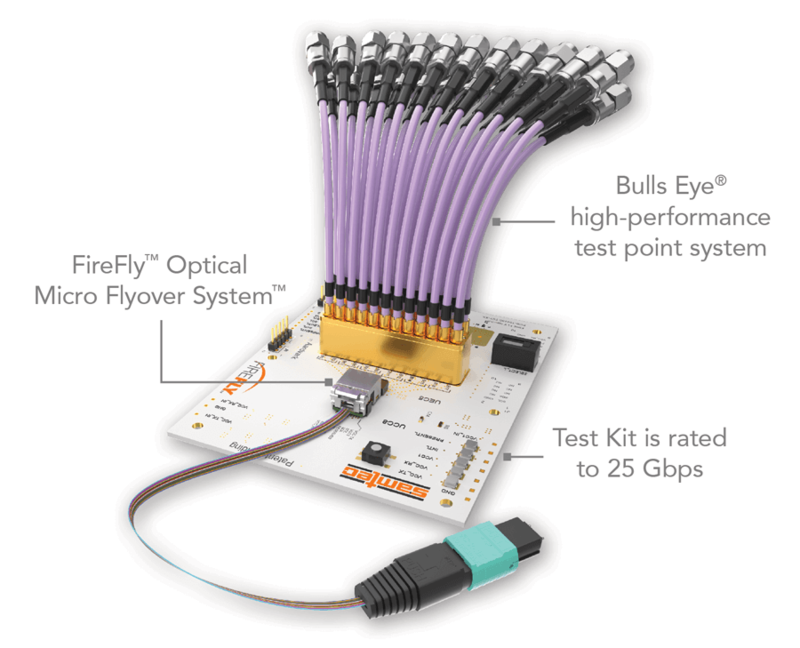 Optical cable system transmits PCIe® signals at Gen 3 data transfer rates through FireFly™ optical up to 100 meters. 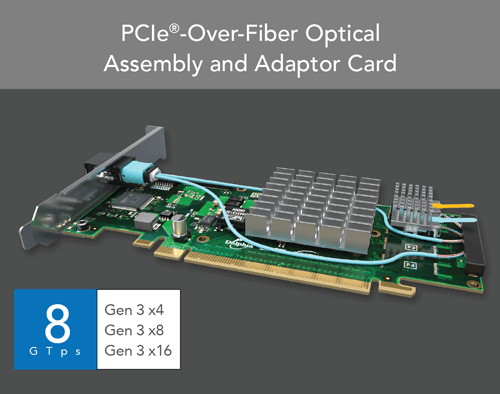 The cable assembly and optional adaptor card support PCIe® protocol for delivering high data rates, low latency, power savings and guaranteed transmission. 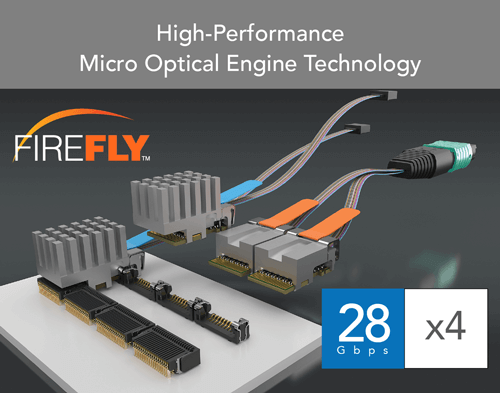 For additional details contact firefly@samtec.com or visit samtec.com/25g-28g-firefly-fmcp. For additional details contact firefly@samtec.com or visit: samtec.com/14g-firefly-fmc. For additional details contact firefly@samtec.com or visit samtec.com?pcoa. This passive optical system features a patch cable with MTP end options and a single or double port adaptor with keying options for proper alignment.